Photographer Rebecca Lepkoff recalls a time when the streets of the Lower East Side were like a theater. “There was always something happening… life took place on the street,” she says. 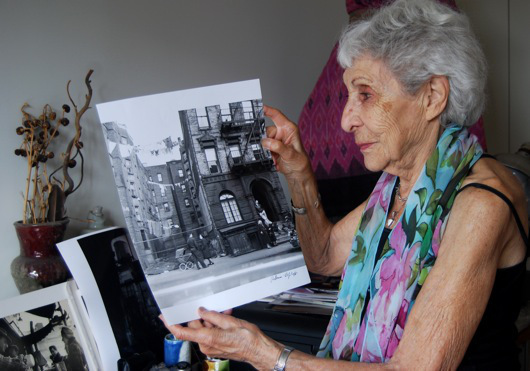 Lepkoff, 95, grew up in a tenement at 60 Hester St. that no longer exists, and was always fascinated with the streets of her youth.